What a great way to remember a year and to make sure you will always remember the small things that happen to you during the year. 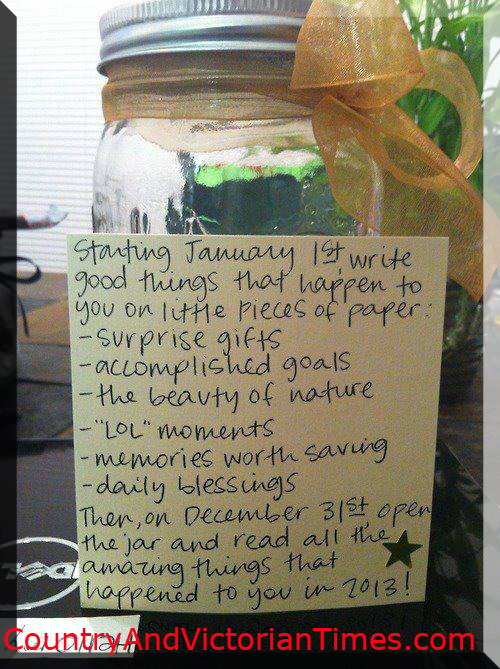 Keep a jar for each person in the family or one big one for the whole family available for easy insertion of notes. 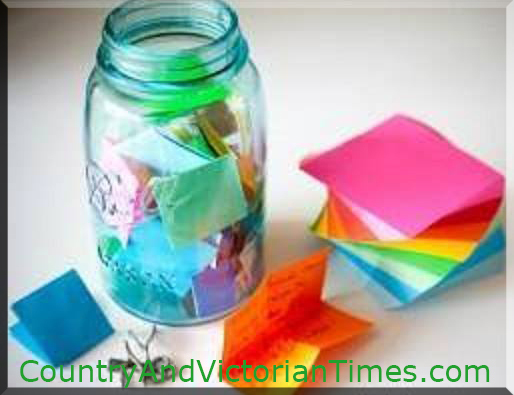 When something good happens, good grades, births, graduation, weddings, things you are thankful for etc write about them on a note and insert them into a jar. The following new years eve take time to reflect on what has happen the previous year. Make it a tradition to do with your family. This entry was posted in Crafts ~ DIY ~ Projects, Home, Car, Yard, and Pets, Tid-Bits & Funnies, ~New Years and tagged birth, eve, events, family, jar, new, note, notes, remember, year, years, ~Wedding. Bookmark the permalink.